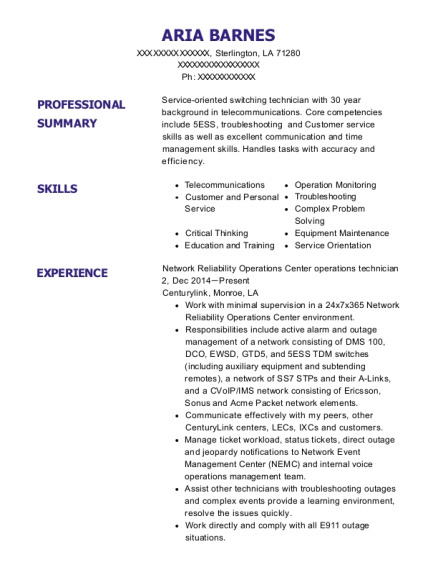 Service-oriented switching technician with 30 year background in telecommunications. Core competencies include 5ESS, troubleshooting and Customer service skills as well as excellent communication and time management skills. Handles tasks with accuracy and efficiency. Work with minimal supervision in a 24x7x365 Network Reliability Operations Center environment. Responsibilities include active alarm and outage management of a network consisting of DMS 100, DCO, EWSD, GTD5, and 5ESS TDM switches (including auxiliary equipment and subtending remotes), a network of SS7 STPs and their A-Links, and a CVoIP/IMS network consisting of Ericsson, Sonus and Acme Packet network elements. Communicate effectively with my peers, other CenturyLink centers, LECs, IXCs and customers. Manage ticket workload, status tickets, direct outage and jeopardy notifications to Network Event Management Center (NEMC) and internal voice operations management team. Assist other technicians with troubleshooting outages and complex events provide a learning environment, resolve the issues quickly. Work directly and comply with all E911 outage situations. test and turn up for Cell tower back haul , CES, DSL, DS1, DS3, ANALOG, 56-64K. Comprehend and relate complex circuit descriptions of both analog and digital fields. Use knowledge and skills to work in the FERC fairpoint emergency response center. test equipment used JDSU TBERD 209 AND 209A , JDSU for T3, HALCYON, OTDR ,LIGHT METERS EXFO ,Fluke, brown meter. Inspect equipment on a regular basis in order to ensure proper functioning. Repair or replace faulty equipment such as defective and damaged wires, switching system components, and associated equipment. Analyze test readings, computer printouts, and trouble reports to determine switching equipment repair needs and required repair methods. Install updated software, and programs that maintain existing software and/or provide requested features such as time-correlated call routing. Collaborate with other workers in order to locate and correct malfunctions. Review manufacturer's instructions, manuals, technical specifications, building permits, and ordinances in order to determine communication equipment requirements and procedures. Assigned to Lucent 5ESS technology. Lead 5ESS network tier 2 support. Familiar with all facets of 5ESS hardware and software. Handled 5ESS retrofits as well as BWM installations. responsible for growth and de growth of equipment in 5ESS. interpret SD's as well as OMS5 reports and hourly. Monitor and analyze switch performance, such as traffic, security, and capacity. work on both local and TDM switching. Work all aspects of the held order. Interact with other technicians and provide tier 2 support for held orders. Travel to customers' premises to install, maintain, or repair POTS service. Climb poles and ladders, use truck-mounted booms, and enter areas such as manholes and cable vaults, in order to install, maintain, or inspect equipment. Provide facility assignment information to telephone installers and repairmen. support for bridgetap and circuit design. 5ESS ORA, Oct 1994 Lucent/AT+T, Lyle , IL Attend 3 weeks of ORA school in Lyle IL. Associate of Applied Science, Telecommunications Nashua Technical College, Nashua, NH Attended degree program at Nashua technical college thru Verizon for an associates degree in Telecommunications. Completed 2 years of courses before the company was sold and the program was stopped. 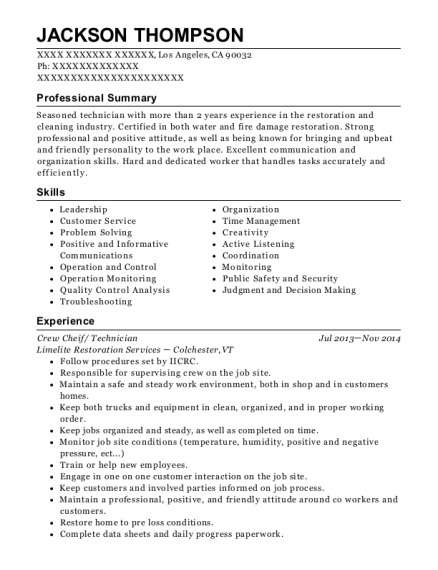 This is a resume for a Network Reliability Operations Center operations technician 2 in Sterlington, Louisiana with experience working for such companies as Centurylink and Fairpoint Communications. 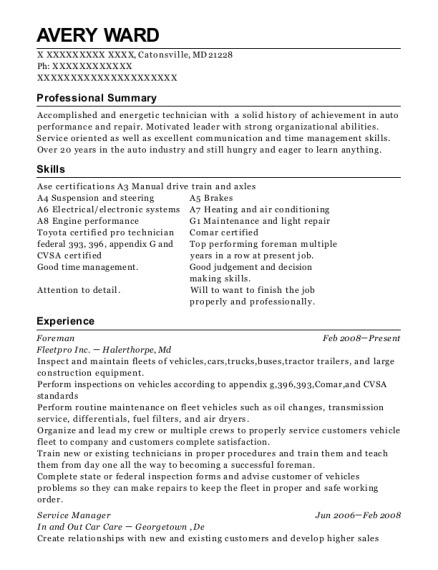 The grade for this resume is 0 and is one of hundreds of Network Reliability Operations Center operations technician 2 resumes available on our site for free. 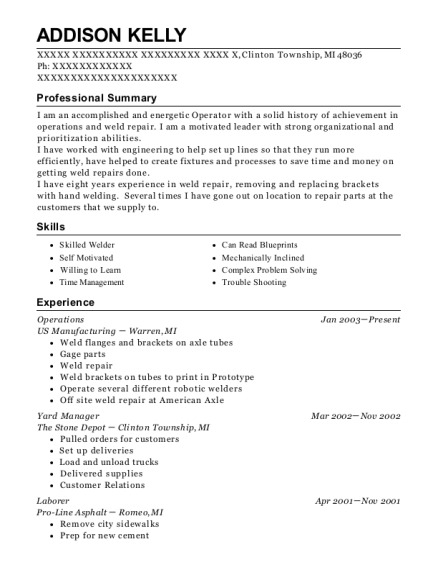 Use these resumes as templates to get help creating the best Network Reliability Operations Center operations technician 2 resume.